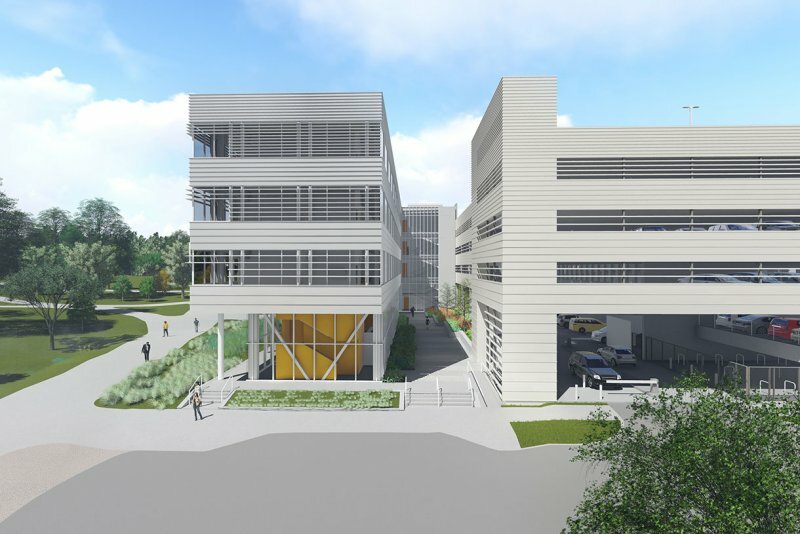 This $32M project will combine three seemingly unrelated program elements—a parking structure, an office building, and a biological wastewater reclamation facility—into a single cohesive structure that will serve as a central feature of Georgia Tech’s new Eco-Commons. This project is not so much a building as a piece of ecological infrastructure. 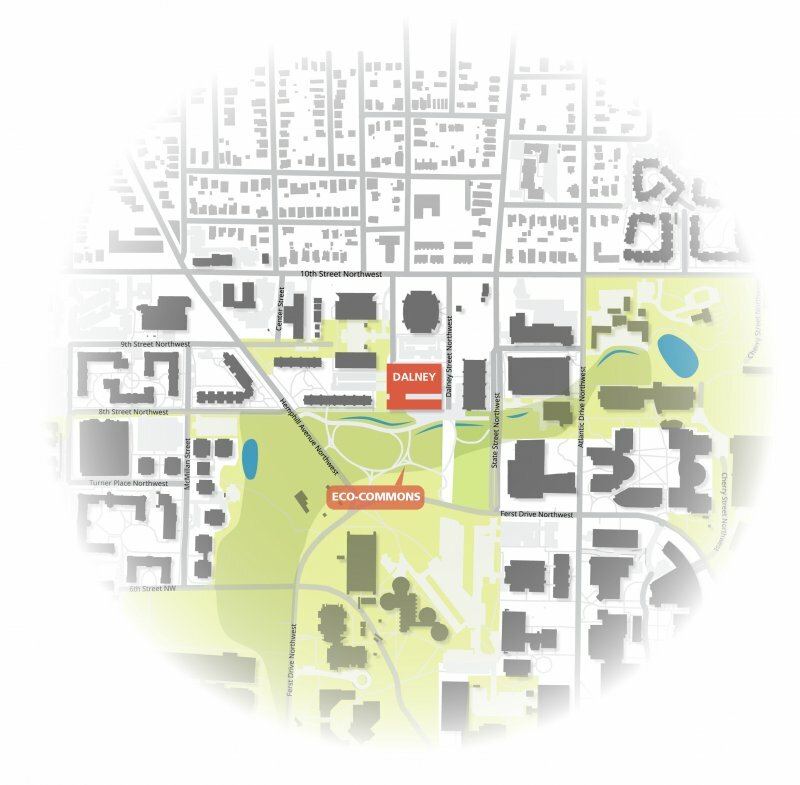 It relocates five acres of surface lots into structured parking, freeing this land to be transformed into the core of the campus “Eco-Commons,” a nexus of green infrastructure and restored habitat. 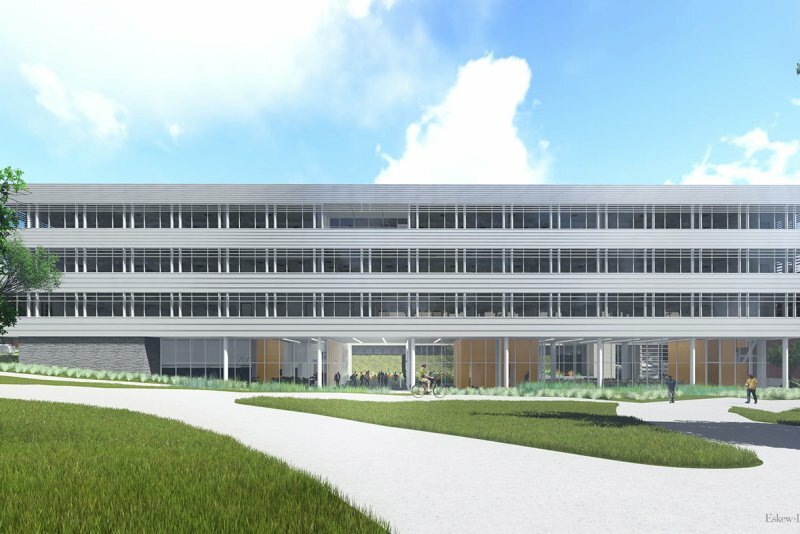 The project provides office space for over 250 staff members supporting research alongside a conference facility that will serve as a shared resource on campus. It’s building as infrastructure, infrastructure as building, all placed in a restorative landscape. Water shortages are a concern not unique to an arid landscape. Far from a dustbowl, metro Atlanta has, in the past three years, experienced severe issues of drought and mandatory water restriction. As a university, Georgia Tech maintains a considerable consumption footprint on campus and, as stewards of the environment, is working to actively balance such heavy usage with water conservation measures. Thirty-three percent of the university’s irrigation use comes from runoff and condensate collected on campus. Their administration has set a goal to increase that number to 50% on all new construction projects, which this new building will play a key role in supporting. The project acts as a node in a campus network of rainwater cisterns. The facility will be designed to receive, filter, store and serve back rainwater captured from nearby buildings, and simultaneously serve as host for a treatment facility that will convert blackwater using biological means into non-potable water suitable for use by campus infrastructure, from flushing toilets to watering the Eco-Commons. A project approach of rapid, iterative exploration with feedback between benefit (to occupants and the environment) and impact (on construction cost and schedule) was instrumental to process. A debate emerged early on. What if cars simply don’t exist in twenty years in the way they do now? 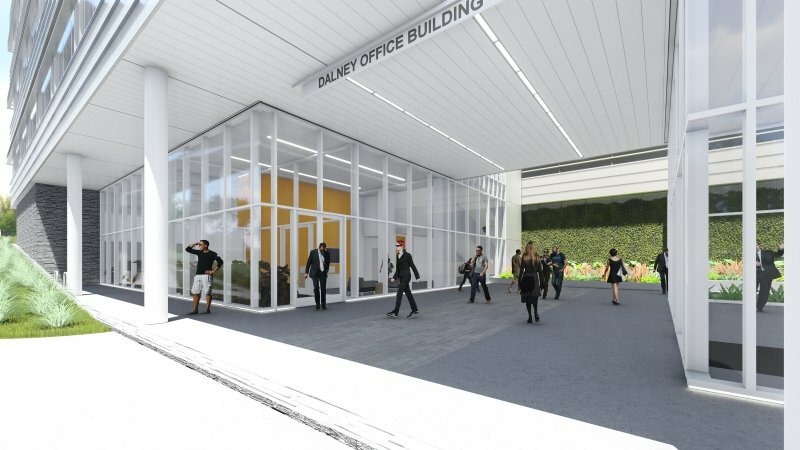 As parking needs change, what are the CO2-specific implications between building the garage, demolishing it and building office space in its place versus building a garage that could work structurally for parking and then be converted to office? These were termed the non-convertible and convertible schemes respectively. In analyzing the structure between the non-convertible and convertible precast options, the carbon difference in renovating a parking structure versus demolishing are significant, though perhaps not exorbitant. The fact that the inherent structural system in precast for a parking garage is “lighter” than a convertible option and that any new office building would be built with steel (which has assumed high recycled-content and recyclability) mitigates the difference. The project came with high performance requirements built into the design/build contract, with contractor and design team working in tandem to deliver ASHRAE 189.1, WELL, and ParkSmart certification. The project team was likewise challenged by the Owner to consider not just performance at building opening, but life cycle impact and adaptation for future uses. 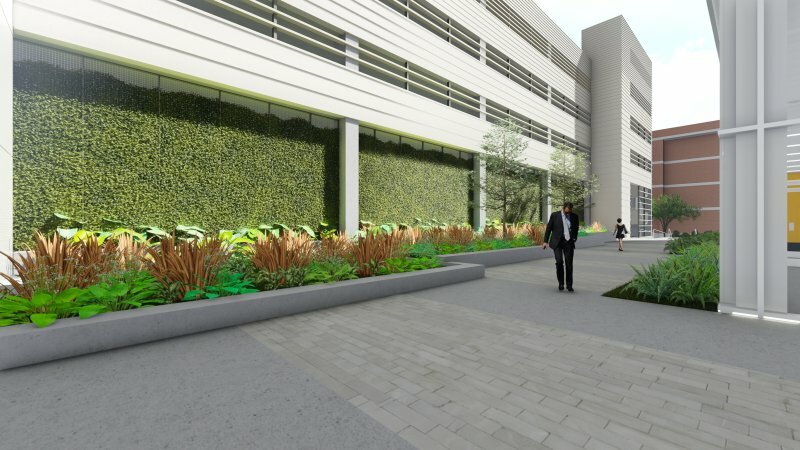 Every aspect of the design—from structural systems to building envelope to HVAC to landscape and water systems—was evaluated using computer simulation for its impact on occupant heath, carbon of construction, operational energy, and site hydrology and ecology. The building is projected to consume 65% less energy than the 2030 benchmark, and is designed to host over 800 kW of solar PV, enabling the creation of a Net Zero Energy district. 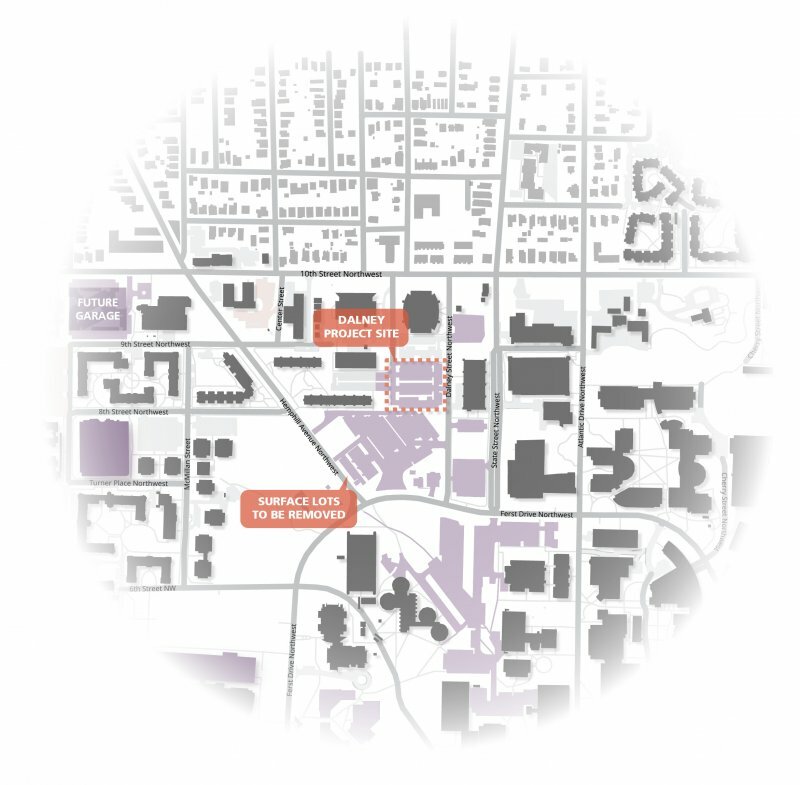 The overall result is a structure that supports Georgia Tech’s sustainability and master-planning efforts, in a budget that provides them the requisite flexibility for the future.